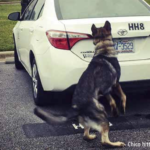 The purpose of the NC K9 Emergency Response Team is to furnish highly trained volunteer search dog teams. NC K9 E.R.T. is a non-profit, 501(c)(3) corporation serving the State of North Carolina and surrounding areas. NC K9 E.R.T. 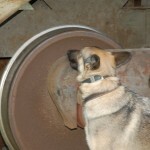 trains and promotes the working dog for search missions, and supports evaluations for search dogs. NC K9 E.R.T. provides highly skilled search teams 24 hours a day, responds to requests from Law Enforcement, Emergency Management, Fire Departments or other Official requesting agencies, during natural or man-made disasters, drownings, and lost or missing persons in urban and wilderness settings, no cost to the requesting agency. 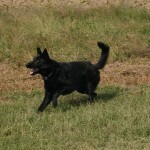 In addition, NC K9 E.R.T. works to promote understanding and public awareness of the role of search dogs and to further the public knowledge, interest and use of search and rescue trained dogs through public demonstrations and lectures to state and local agencies, schools, civic organizations, retirement and rest homes.